Many people don’t like business meetings at the best of times. 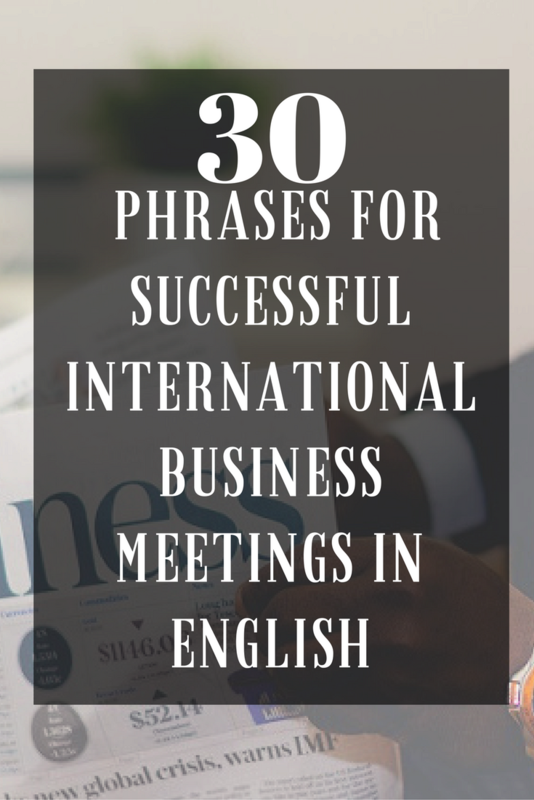 Even if you’re confident and successful in business meetings using your own language, this might not be the case in business meetings held in English. This blog post will provide you with key words and phrases that will help you to lead and participate in a successful meeting. Good afternoon and welcome, everybody. The aim of today’s meeting is to discuss last month’s performance. Let’s start by saying that overall we had a very good month. At the start of the meeting, you should introduce relevant and important topics that might not normally fall under the agenda for discussion but rather could be overall statements, farewells and introductions. Now everyone is here, let’s begin with the most important issue we faced last month. In the case that you have a new team member, this should also be done at the very beginning. I would like to extend a warm welcome to our new software developer, Joanna. After a welcome and general introductions have been made, you’ll want to jump into the agenda and items for discussion. There are a few ways you can do this. The first item on the agenda we need to discuss today is last month’s sales performance. First, let’s talk about last month’s sales performance. In many meetings, even using your own language there will be times that you are not quite sure what the speaker is saying. This could be because you simply didn’t hear them or maybe their answer was ambiguous and you need them to clarify their point. 7. Could you please clarify…? Could you please clarify what you said about implementing a new sales strategy? If you’re speaking and you have the impression that maybe you were not understood by everybody, you can also ask if everybody understood. 8. Was that clear to everyone? There might also be times where you have made several lengthy points and need to summarise them to make sure everybody understood. I’m sorry, I’m not sure I understand what you mean by closed opportunities. Even though last month’s sales figures were good I feel that there is still room for improvement. If you ask me, I think we should focus on giving more training to our newer sales staff. In my opinion, the best approach would be to test a new sales script. It can be quite difficult to generate opinions from all the participants in a meeting. To encourage people to come forward with opinions, the following phrases should be useful. 14. How do you feel about…? Kai, how do you feel about the new sales strategy? Do you agree with what the sales team has proposed? 16. That’s a good point. I hadn’t thought of that. That’s a good point. I have to say, I agree with Mark on this point. 18. I’m sorry but I completely disagree. I’m sorry but I completely disagree with that approach. 19. I can see your point but I don’t see things the same way. I can see your point about redesigning the website but I don’t see things the same way, I think there are more important issues we could focus on. In some business meetings, you are going to have to negotiate with business partners and reach a compromise. You will need to know how to do this in a respectful and polite way. 21. What do you think if I were to offer you this instead? Questions are essential to a productive meeting, but interrupting can be a major distraction. You might need to ask permission before interrupting to make a comment. 22. May I add something about…? May I add something about last month’s marketing budget? Excuse me for interrupting but could you repeat what you said about the marketing team, I didn’t quite understand. 24. Let’s get back to…. Let’s get back to the topics on the agenda. We’re not here to discuss the customer service training today. 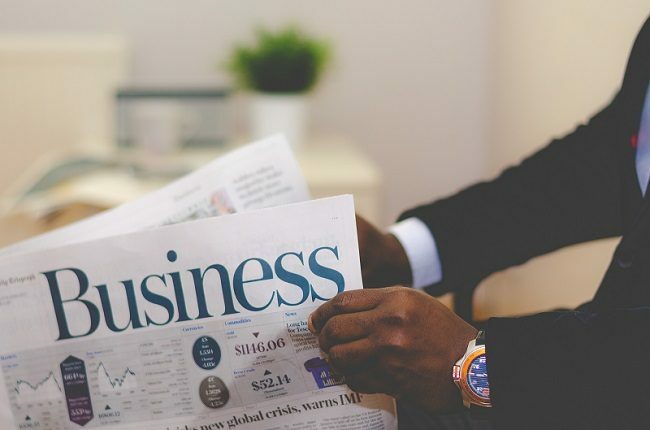 Before a meeting ends, you will need to summarise the main points of the meeting and confirm the next steps, as well as clarify who will carry out the next steps. To sum up the meeting, we discussed items 1-4 on the agenda, so in next week’s meeting we’ll carry on from there. 28. …prepare those for our next meeting, please? Mary, can you or someone in your team prepare those numbers for our next meeting, please? 29. I think that’s it for today. Thank you all for coming. 30. The meeting is adjourned. Thank you for attending. Now you’re ready and equipped to deal with business meetings whether as a leader or a participant. Let’s see if you can put them to good use in the next meeting you attend. If you liked this and want to learn more about how to conduct a successful business meeting, you might like our business meetings workshop.